Land Rover Freelander owners have reported engine and transmission defects, problems, and premature failures not covered by warranty. Owners may be entitled to compensation for repair costs, loss of use, and/or diminished value. Here is an listing of various complaints made to the National Highway Traffic Safety Administration about transmission problems on these vehicles. Land Rover Freelander transmission problem, defect, claim, 2002 Freelander defect, problem, LandRover Freelander transmission defect class action, problem, 2003 LandRover Freelander transmission recall, problem. 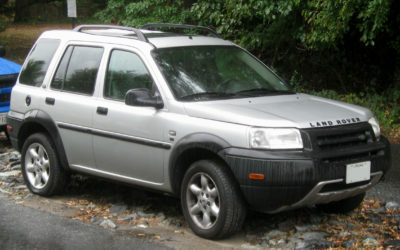 HAVE OWNED 2002 LR FREELANDER SINCE MAY 2008, FOR AROUND $9,000, HAVE SPENT $4000 ON REPAIRS SINCE. TRANSFER CASE WENT IN THE END OF NOVEMBER, THEN THE TRANSMISSION DIED IN THE MIDDLE OF JANUARY. THE CAR WAS RETURNED TO ME “FIXED” EARLY FEBRUARY BUT THE TRANSMISSION DIED AGAIN WITHIN 25 MILES OF THE AUTO SHOP, LUCKILY THE WORK WAS UNDER WARRANTY, THEY FOUND THAT AN ELECTRICAL ISSUE WAS THE TRUE PROBLEM AND RETURNED IT TO ME “FIXED” AGAIN MARCH 6, 2009, NOT EVEN 20 MILES THIS TIME AND I’M GETTING THE F4 SIGNAL, HDC WARNING, AND THE GEARS WON’T SHIFT. I OWE TO MUCH ON THE CAR TO SCRAP IT, BUT CAN’T IMAGINE WASTING MORE MONEY TO HAVE IT SIT IN THE SHOP FOR ANOTHER COUPLE OF MONTHS (WHILE IM MAKING PAYMENTS ON IT) JUST TO SUFFER THE SAME FATE.